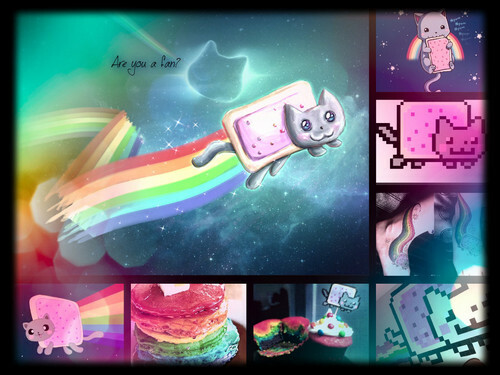 Nyan cat ファン collage!. Are あなた a fan?. HD Wallpaper and background images in the Nyan Cat club. This Nyan Cat fan art might contain ステンドグラスの窓, ステンド グラスの窓, アニメ, 漫画, マンガ, and コミック.